When Should You Consider Hiring a Project CFO? Home > Blog > CFO Services > Types of CFO Services > When Should You Consider Hiring a Project CFO? There are many situations in which businesses can benefit by hiring an outsourced CFO services provider. In this article, we will delve into how an outsourced CFO can help your business by serving in the role of a Project CFO. The most common scenario in which an outsourced CFO would serve as a Project CFO is one in which your company needs to address a specific, pre-defined project that requires specialized, high-level financial expertise beyond the abilities of your current resources. If there is a tight deadline requiring the ability to get up to speed rapidly, this also lends itself to hiring a Project CFO who will not require significant supervision from you and/or your staff. Even if you have a full-time CFO on staff, you may find that the quickest path to completion of a specific project is to hire a Project CFO to supplement and support your internal CFO. 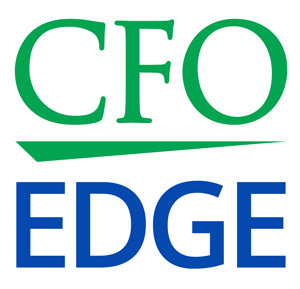 § All three types of outsourced CFOs — Project CFO, Part-Time CFO and Interim CFO — bring the same skill sets: high-caliber financial leadership skills and authoritative financial project solution expertise. § A Project CFO’s focus is on one clearly-defined project. § That said, there can frequently be sub-projects to achieve the single-project goal. § For example, a financing presentation can have precursor projects of completing audits, completing restatements, or converting financials to GAAP standards. The projects may also lead to being asked to provide help in other financial and operational areas. § Duration for a Project CFO is determined by the nature of the engagement. § Duration could be as short as a few days. § Or duration could be mid-term in length: a week to three weeks or months, depending on the project. § The number of days per week and presence at the client site are determined by the nature of the engagement. § For some projects, frequency of presence could be one or two days during a week. § For other projects, frequency of presence could be five to seven days per week for weeks or months. § An independent audit of your financials must be performed to complete a sale or merger transaction, but you’re behind schedule and are concerned the audit won’t be completed in time. § You’ve secured an infusion of capital from a private equity investor but the investor is concerned that there isn’t sufficient financial leadership in place to take the company to the next level. § The company can’t attract additional debt or equity financing without a budget, an 18-month rolling forecast or a multi-year forecast to provide a roadmap against which actual results can be compared. § You need to buy out a partner who is ready to retire and don’t know how best to finance it. § Investment banks believe that your company is a candidate to go public, but no one on your staff has public company experience or an understanding of what’s required to go public or operate after you become a public company. § You’ve received an order that could triple the size of the company, but you don’t know how to price it, whether you can afford the working capital required to fill it, or how to manage and finance this kind of rapid growth. § You’d like to increase prices on a few of your product lines, but there is no analysis to support this decision or to run “what if” scenarios to help you evaluate different outcomes and make a more informed decision. § You’ve lost a key customer and don’t have the expertise on staff to analyze what financial adjustments need to be made to compensate for the loss, or to implement these changes. § Your lender was just acquired and you’ve been informed that your line of credit (that you’ve personally guaranteed) will be terminated in three months because your company does not meet the new bank’s requirements. You need help courting new lenders and providing them with the information they will require to provide you with a new line of credit. Not having the financial expertise required in these kinds of scenarios means your business will be unable to take advantage of growth opportunities — or worse, possibly even fail to survive. The best solution is to hire a Project CFO who has the experience needed to quickly grasp what needs to be done to successfully move a project along to completion. This solution could pay dividends currently — for example, there will be no delays in making important decisions — and in the future due to the positive results that will be achieved by completing the project. Another benefit is that you will be able to concentrate on running your business while the Project CFO handles all the details of the project. He or she will provide a point of high-level financial contact internally as well as to third parties involved in the project. The Project CFO’s role can also include any post-project follow-up or other services required — for example, like those that will be required when you go public. With a Project CFO in place, you can present the best possible scenario to lenders, partners, investors or other third parties with a vested interest in a successful outcome of the project. There are many situations in which your business could benefit by hiring an outsourced CFO services provider, including hiring an outsourced CFO as a Project CFO. Even if you have a full-time CFO on staff, you may find that the quickest path to completion of a specific project is to hire a Project CFO to supplement and support your internal CFO. This solution could pay dividends currently and in the future due to the positive results that will be achieved by completing the project.